Hey, Bill, welcome to our world, where again and again and again the Establishment rolls over like whipped dogs as the DC Media and President WrightAyers destroy our country. If the Establishment won’t fight Trump over something as big as this with all of the media on their side, they surely won’t fight Hillary with all of the media on her side, which means they are going to LOSE; which means the legacy and executive actions of President WrightAyers are all going to become the settled law of the land, which means Justice Antonin Scalia will be replaced by Justice WrightAyers. This is a risk we simply cannot take. We need a nominee who is going to win, and that means nominating someone who will do whatever it takes to win. Never allow yourselves to forget that in 2012, Team Obama accused Mitt Romney of murder and of not paying his taxes for 10 years. Both bald-faced, outrageous lies. And the DC Media not only let them get away with it, the media delighted in the attacks. This is the world in which we now live, this is today’s political landscape, these are the battle rules, and for the sake of our country we must nominate someone who understands this. Through his ruthless attacks against both Republicans and Democrats, Trump has already proven he gets it. Trump fights like a leftist. Jeb Bush attacks Trump with tens of millions of negative ads, Trump goes right after Jeb’s family. Ted Cruz attacks Trump with millions in negative ads, Trump goes right after Cruz’s integrity, faith, and eligibility. Hillary Clinton attacks Trump as sexist, Trump rips her throat out by bringing up Bill and Hillary’s female victims. The result is not only that Trump stands as the one person in 25 years to effectively fight past the Clintons’ Media Palace Guards and leave a mark, Hillary actually shut her lying mouth. In 2008, John McCain was willing to gut Mitt Romney, but he wouldn’t touch Barack Obama’s disqualifying past. In 2012, Mitt Romney was willing to gut Rick Perry, but he couldn’t or wouldn’t prosecute Benghazi. Time and again and again our Establishment nominees have proven themselves perfectly capable of attacking their own, only to then fold like a cheap suit in the general election. The DC Media creates rules specifically designed to ensure Republicans lose, and our loser Republicans always play by them. The Establishment won’t fight, you say? 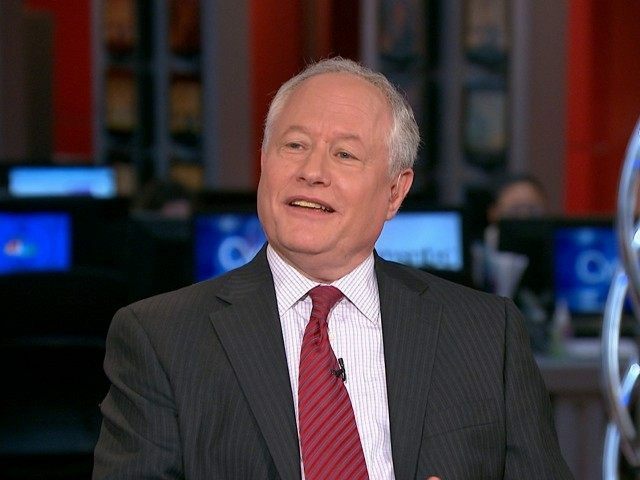 Probably, from somewhere deep within his patriotic sub-conscious, for the sake of America, Bill Kristol finally decided it was time to make the case against the Establishment. Regardless, by exposing the truth about this hopelessly feckless group of serial-losers, that is exactly what he did.